Eden Hazard and Thibaut Courtois voted nr. 21 & 22 at the election of Ballon d’Or 2014. 2 Belgians awarded as nominees for the prestigious Ballon D’Or 2014: Thibaut Courtois and … Eden Hazard… for the 2nd year in a row. 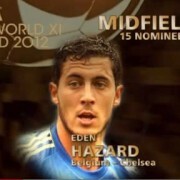 Eden Hazard nominated for FIFA World best 11 midfielders of the year 2012. Chelsea’s midfielder Eden Hazard has been nominated by the FIFA and the FIFPro organisation for the World Best 11 Midfielders of the year 2012. 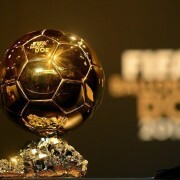 Only three of them will be presented during the FIFA “Ballon d’Or” Gala, which is held on Monday 7th of January 2013.